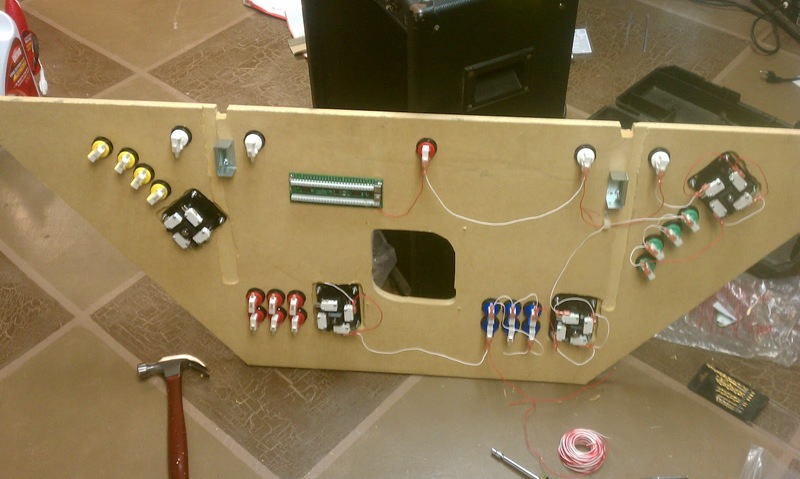 I am now ready to wire the control panel. 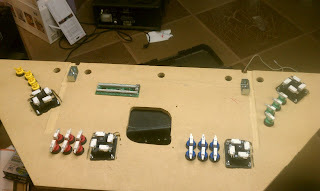 I am using 22 gauge wire to wire up all my joysticks and buttons. The trackball I received is a ps/2 connection and it has it own hook ups for three buttons, but I will only be using two for the setup. I did not go the Ethernet cable route, which some people do to keep their connections color coded, but I just went with the same wire for everything. It is actually a double spool of red and white, and I did not make a distinction between ground and non ground wiring. 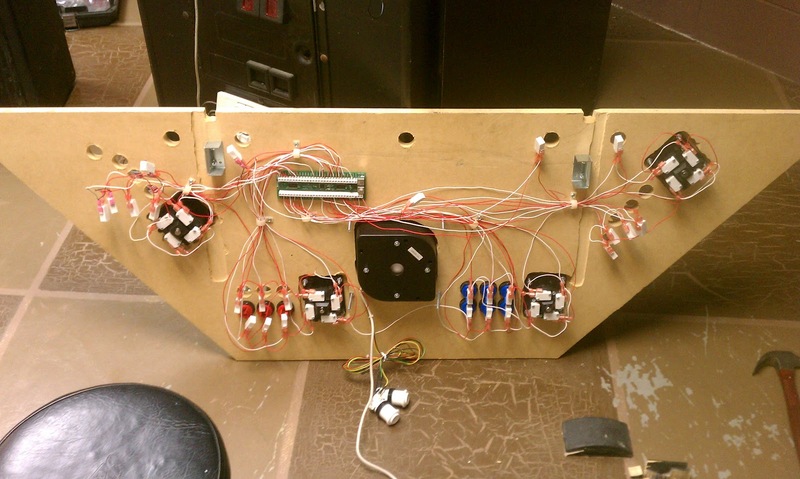 If you need some help with wiring I would look up a tutorial video for wiring arcades, I found a few on Youtube, and they helped greatly, but the gist of it goes like this. First you need to ground all the connections. 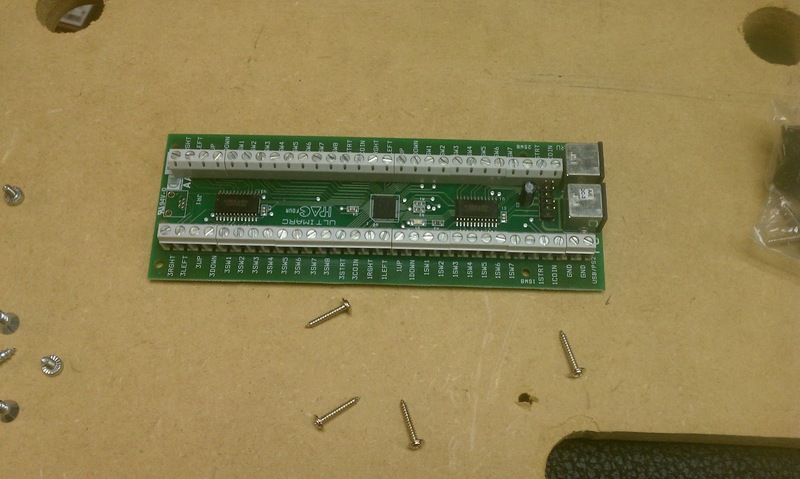 The iPAC has two spots to insert your ground, but you can daisy chain them so you really only need one. You will need to plan out your daisy chain, but it isn't that difficult. After you daisy chain everything together, you will need to wire each individual switch to the corresponding insert in the iPAC. They were nice enough to label each switch from 1-4 player, and the ground. Here is a shot of the buttons with most of the switches attached. 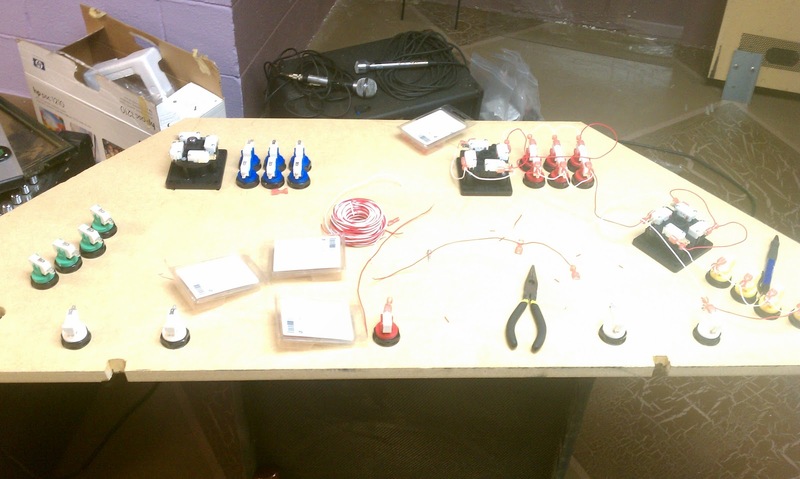 Here is some of the daisy chained ground wiring. 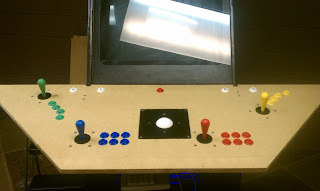 I then went through and hooked up all the buttons/joysticks to the iPAC, and then I decided to test run the control panel. Turtles!!! Well I hooked up everything except the trackball and the coin up buttons and it works like a charm. I then went through the process of play testing the whole thing. WAY too much fun. I then decided to attach the trackball and test the whole thing out. 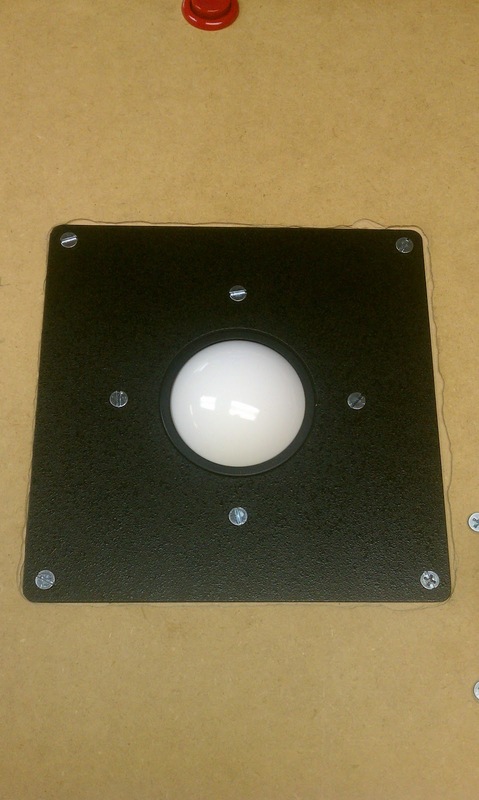 I have the mounting plate attached and ready to insert the Trackball. Here is a shot of the whole setup from the back. I like to call it the rats nest. I did make sure my connections were snug, so I would hopefully not have to deal with tracing any wires. 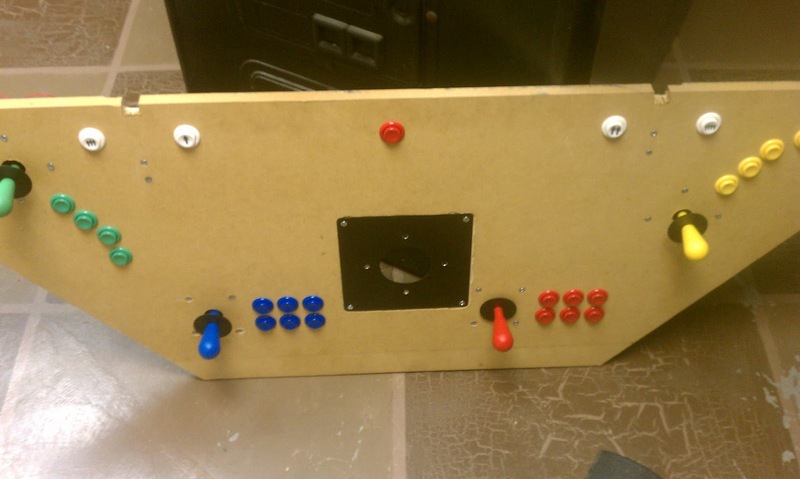 I did not have the trackball holes drilled for this yet, I plan to do that when I get my artwork in so I will not cover up anything with the buttons. 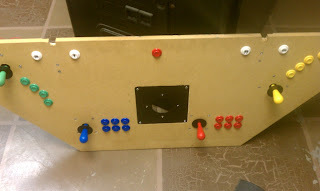 Here a shot of the trackball nice and mounted. A final shot of the wired control panel. Everything is working great. The trackball is just a mouse, and MAME was already calibrated to handle Mouse X and Y to work with the games, so I didn't need to configure anything with it. 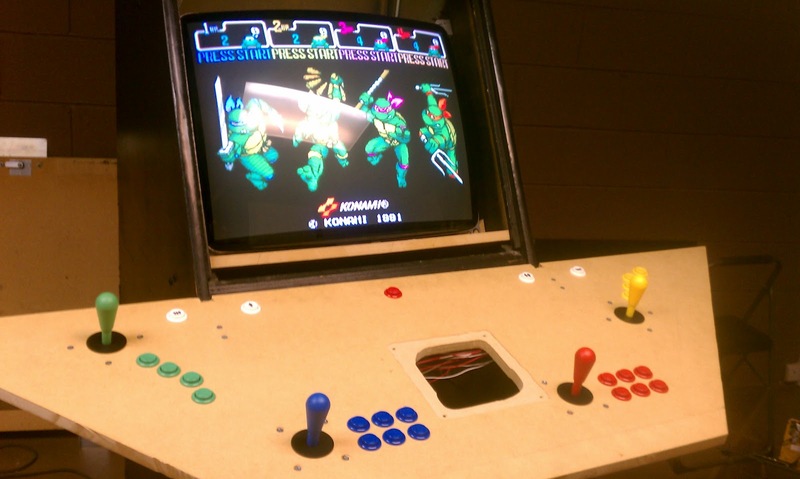 I only need to apply the artwork, and hook up my coin up buttons, and I will be mostly done with the project. I am planning on going over the computer aspect of the setup with what I am using, as well as the marquee and T-molding and a nice final video to show everybody. I appreciate you stopping by and checking this out. Until next time!